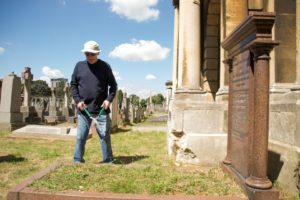 On a blisteringly hot and sunny Saturday in August, we returned for our third visit to Brompton Cemetery to continue the great clear up work from previous visits. 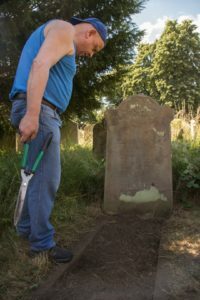 Unfortunately, weeds and bramble have a nasty habit of growing back, so our first job was to remove the regrowth from the grave of Alfred Frederick Janes, landlord of the Rising Sun pub (now the Butcher’s Hook) where the decisive meeting to form Chelsea Football Club took place. 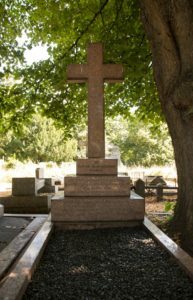 Our next stop was the final resting place of John Henry Maltby, a founding director of the club, present at that famous meeting in the Rising Sun. 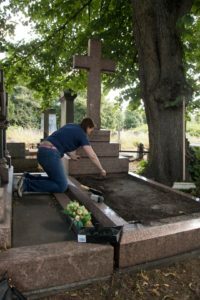 This was the first time the group have worked on this grave so there was plenty to do. 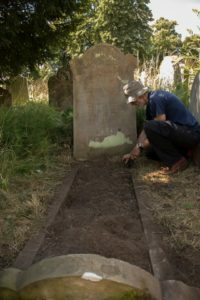 As with the Janes grave, a pathway has been created to the location so that visitors can access it quite easily. 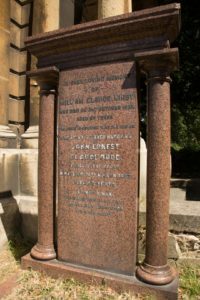 Our third port of call was the monument dedicated to the Mears family, very much a part of Chelsea’s history. Here we cleared away alayer of red (don’t ask!) stones from inside a kerbed area, which allowed us to replace them with the first batch of blue shaded stone chippings. We plan to return to extend this decorative feature. 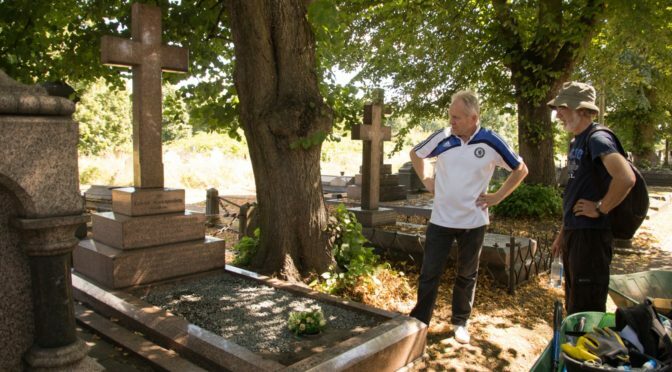 Finally we dropped by at the final resting place of William Claude Kirby, who was Chelsea’s first Chairman, a position he held for 30 years. His headstone contains the fabulous inscription “The game is greater than the player”, wise words indeed! 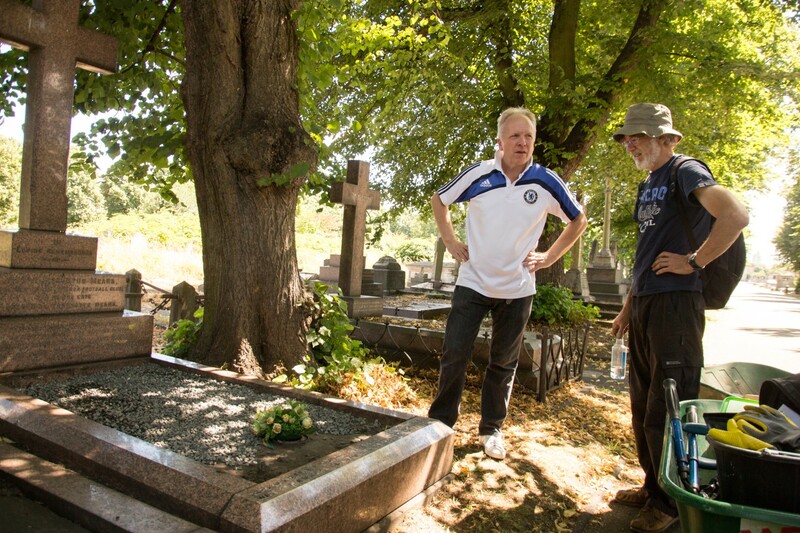 With grateful thanks to all who came along to help out; Lucy, Dan, Steve, Francis, Adrian, Debs, a special mention to Tim who provided home made sausage rolls and banana bread and to Cliff who has worked tirelessly to make the project the success it is, working with the Friends of Brompton Cemetery and club historian Rick Glanvill. Don’t worry if you missed out this time, we will be returning on Saturday 3 September 2016, meeting at the Fulham Road gates at 11am.